Over the holidays I did a little holiday cocktail round up from ingredients the nice folks at the Hillcrest Whole Foods gave me to try. One company in particular made an impression on me with their tangy Apple Fennel Shrub. 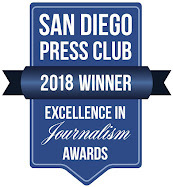 That would be Del Mar-based The Gingered Pear. They reached out to me later to thank me for including them in the piece and before I knew it, we'd made a date for me to come over and get a cocktail lesson, using their shrubs and syrups. 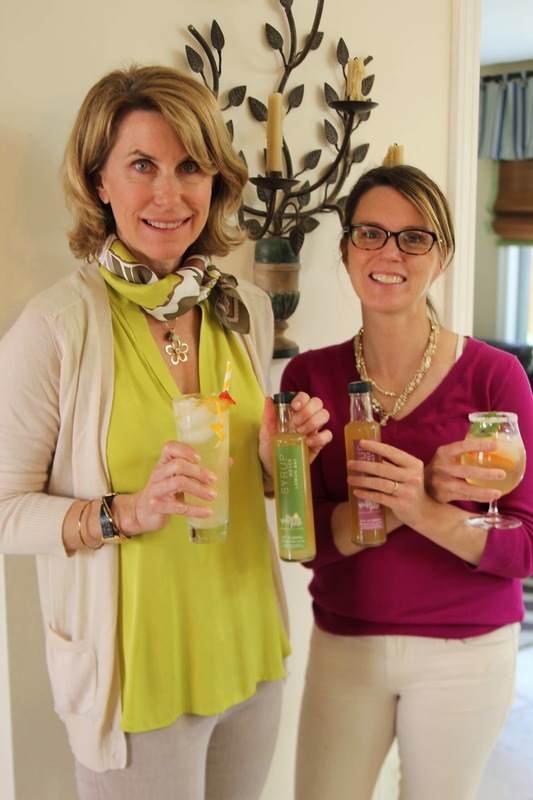 The duo who own the business, Colette Bolitho and Jennifer Woodmansee, are friends who met several years ago through their young children. They discovered they both had a passion for food and cooking. And cocktails. 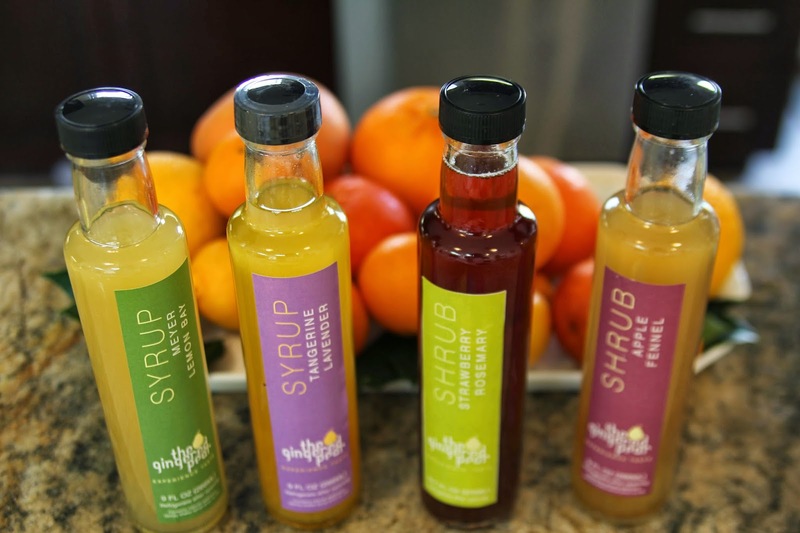 One thing led to another and five years later they launched their business, creating seasonal shrubs and syrups from produce as local as possible, including Stehly Farms and Specialty Produce's farm program. The flavors are made up of some unconventional combinations, including carrot orange, tangerine lavender, and Meyer lemon bay leaf. Their inspiration is a favorite inspiration of mine, The Flavor Bible, and they find the book gives them just enough of a jumping off point to come up with just not flavors for their products but unique cocktails and mocktails. This spring, The Gingered Pear is featuring Strawberry Rosemary shrub, Apple Fennel shrub, Meyer Lemon Bay Leaf syrup, and Tangerine Lavender syrup. When I got to Jennifer's house (the pair actually do their mixing and bottling at a commercial kitchen but we decided to meet at Jennifer's house), the kitchen counters were overflowing with glasses and fruit, piles of herbs, a large green herb salad, a platter of cheese, crackers, and these insane prosciutto mustard puff pastry rollups. And, of course, all sorts of liquor and mixers. In other words, heaven. 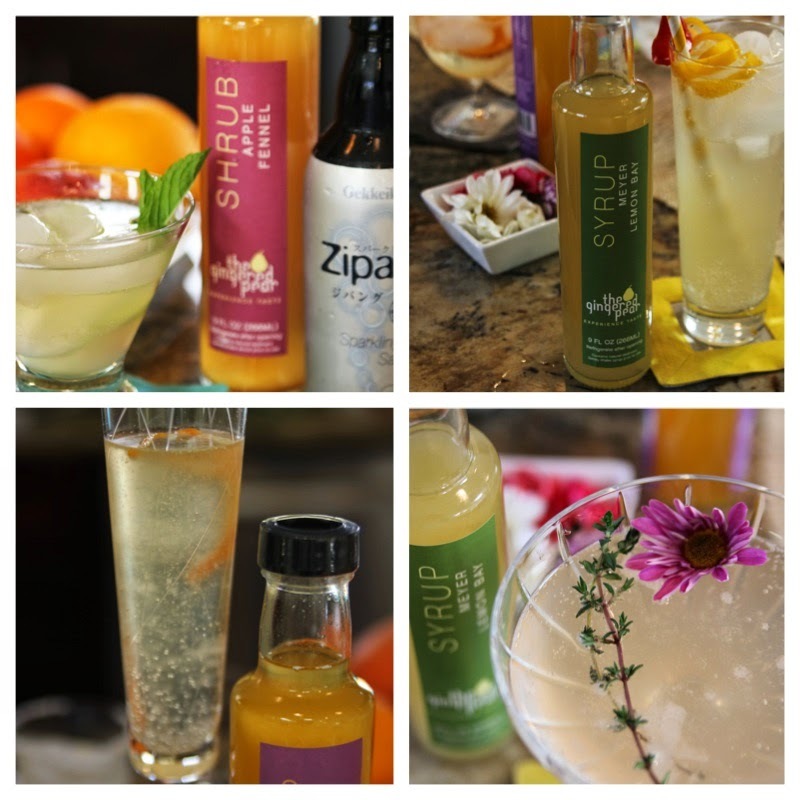 Shrubs, of course, are a flavoring comprised of fruit, sugar, and vinegar. Heat up the sugar and vinegar until the sugar dissolves and pour over the fruit. Let it stand until the fruit flavor infuses the liquid. Syrups are similar, sans the vinegar--combine sugar and water and heat until the sugar dissolves and the mixture becomes syrupy. Add your flavors, simmer, and stir periodically, heating until the fruit or herbs soften. Remove from the heat and let cool. Then strain the syrup through a fine sieve. Easy, huh? Well, yes. But we don't always have time to do everything from scratch, which is why I'm drawn to these tasty mixtures from The Gingered Pear. 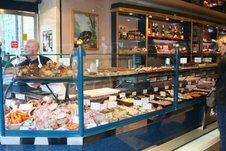 They're fresh and hand-made, and perfect not just for cocktails but also to pour over desserts or, in the case of the shrubs, over a salad or even to lightly pickle vegetables. 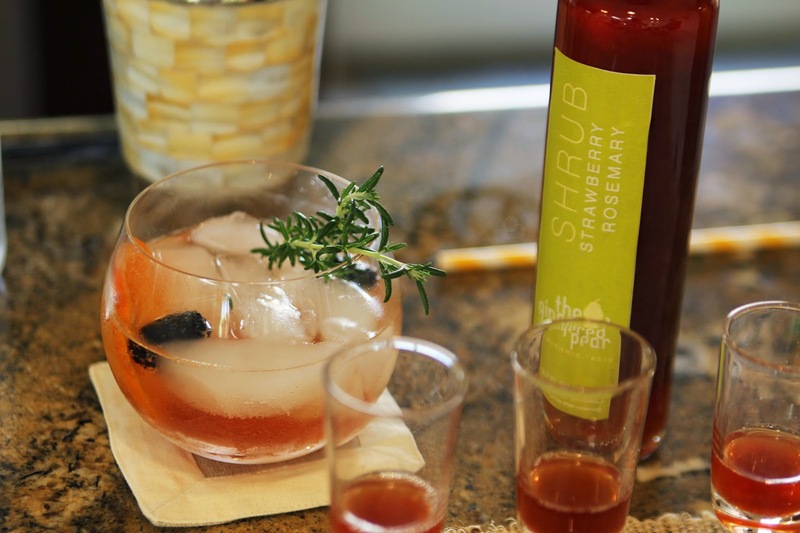 Colette recently poured the Strawberry Rosemary shrub over sliced red onion and radishes to pickle them. 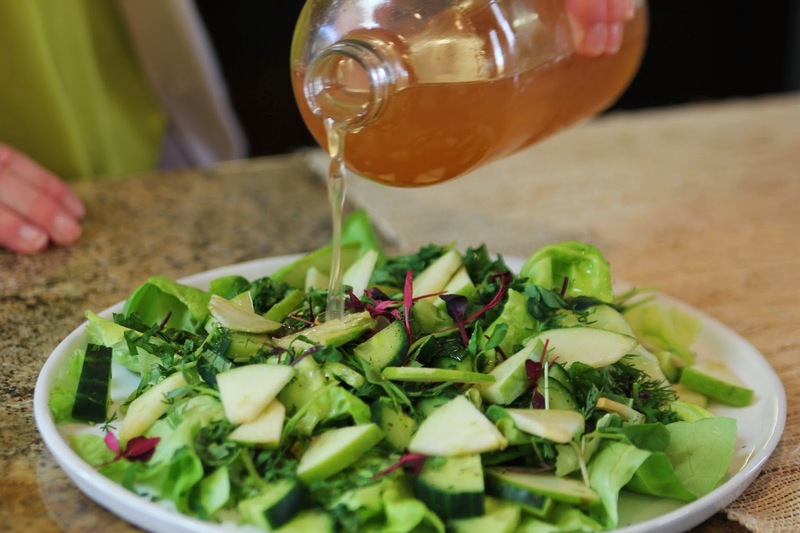 Colette pours the Apple Fennel shrub over an herbaceous green salad. But, let's talk cocktails and mocktails. How about the Apple Fennel shrub combined with cucumber, mint, vodka, and sparkling sake? 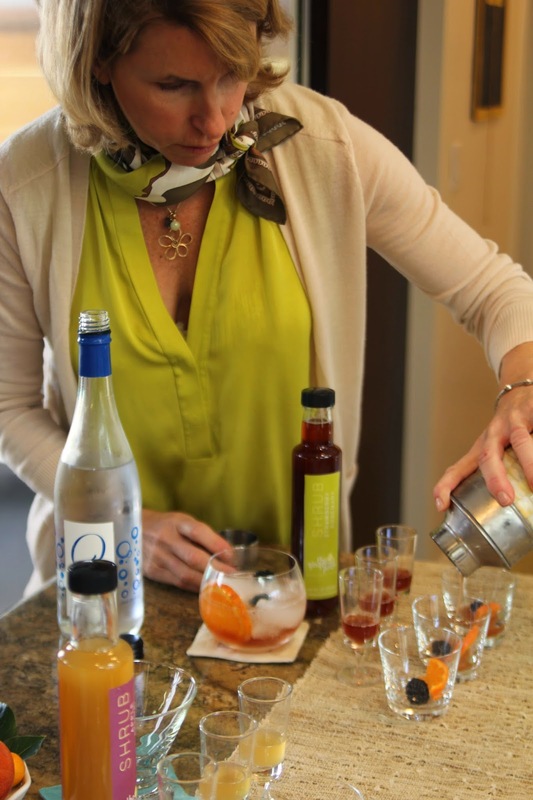 A Meyer Lemon Bay Leaf mocktail with tonic water, shaken with a fresno chile? 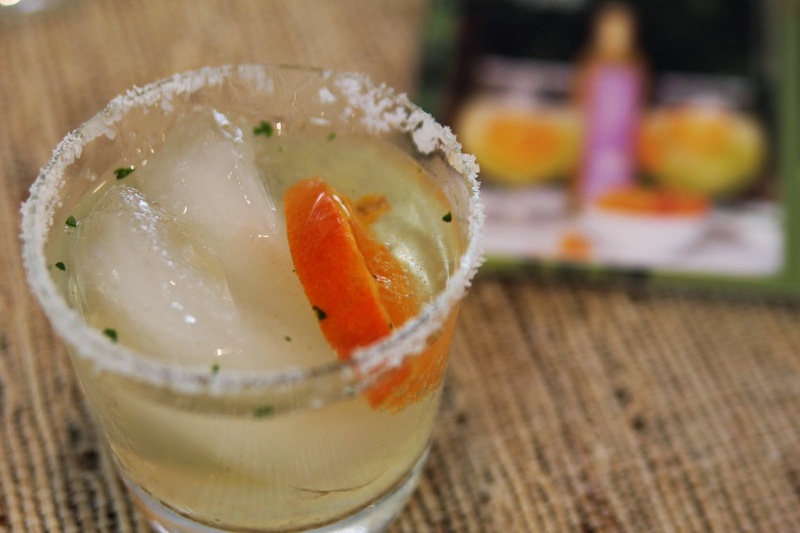 Tangerine Lavender syrup with champagne as a twist on a traditional mimosa? Or a Meyer Lemon Lillet Rose cocktail? Let's just say this visit was a very happy start to my day. Rub a cut tangerine on rim of glass, then dip the glass in salt. Fill a cocktail shaker with ice. Add tangerine lavender syrup, tequila, and cilantro. Shake it well, until frosty. Strain contents of the shaker into salt-rimmed glass. Top with club soda. Garnish with slices of tangerine. Fill cocktail shaker half full of ice. Add shrub, gin or vodka, and orange bitters if desired. Shake to combine the ingredients. Strain into two 8-ounce glasses filled with ice. Top with club soda. Garnish with rosemary, orange, and a couple of blackberries. Notice all those garnishes? The ladies explain that it's the power of the garnishes that prepare you for what you're going to taste. 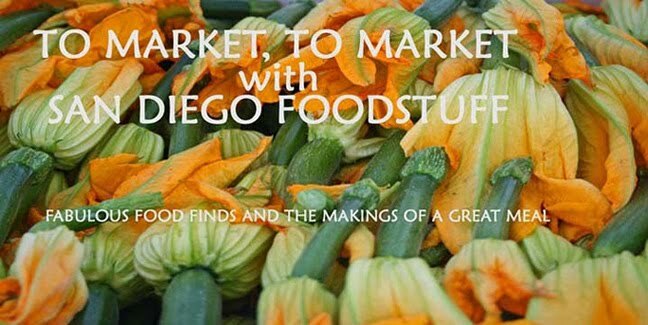 The Gingered Pear's products can be found at all four San Diego Whole Foods markets as well as Seaside Market, and Del Mar Wine Company.